I have blogged before about Red Pack tomatoes. Canned tomatoes are one of those staple items I like to keep in my cupboard so I can easily make home cooked basics... spaghetti sauce, pizza sauce, soups and so much more. 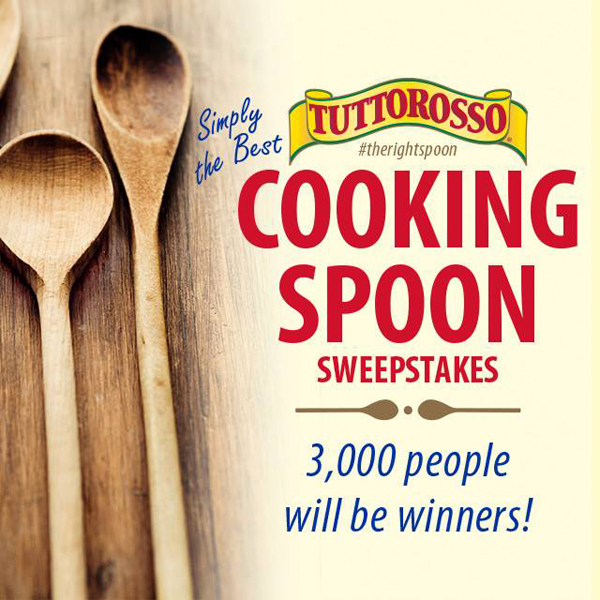 One of the Red Pack brands, Tuttorosso Tomatoes is running a sweepstakes featuring another classic kitchen staple, the wooden spoon. You can visit the Tuttorosso Tomatoes Facebook page to enter to win one of 3000 wooden spoons, or a grand prize of one personalized Tuttorosso heirloom wooden spoon by Whetstone Woodenware and a 6 piece Signature Cookware set by Le Creuset! A home chef's dream! You can enter for a chance to win on the Tuttorosso Tomatoes Facebook Page.